Global refined copper consumption will register steady growth over the coming years, driven by demand from the power industry, rising electric vehicle (EV) production and a positive global economic growth outlook, a new copper supply and demand outlook by Fitch Solutions shows. But the global copper market will see persistent undersupply in the coming years, as global consumption, driven by China's power and infrastructure sectors and increasing EV production, continues to outpace supply growth, Fitch warns. Based on Fitch’s data, global refined copper demand will outpace production and the market will be in deficit over the next few years. Fitch specifically forecasts the global refined copper balance to register a deficit of 247kt in 2018, and to remain under-supplied through to 2021. 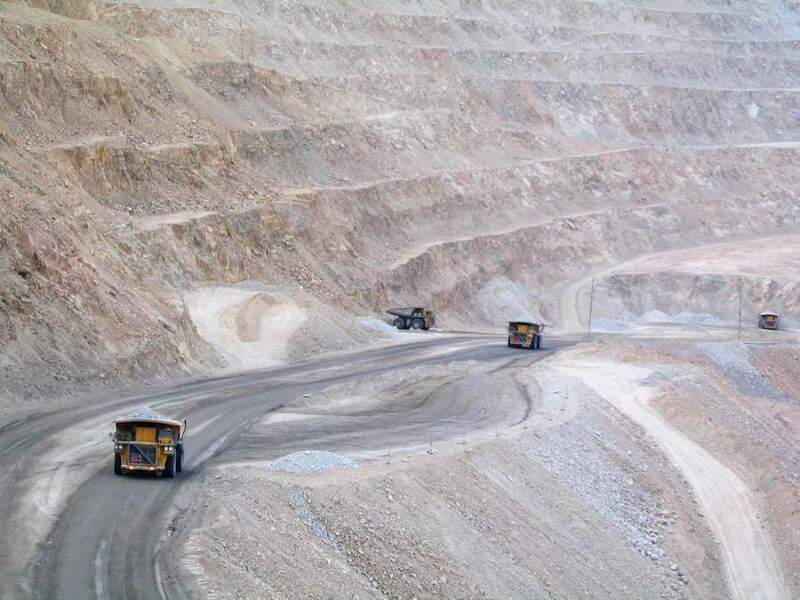 Mining companies are searching worldwide for copper projects amid the forecasts that demand for the red metal will significantly outstrip supply from 2020 (there are 300kg of copper in an electric bus and nine tonnes per windfarm megawatt). 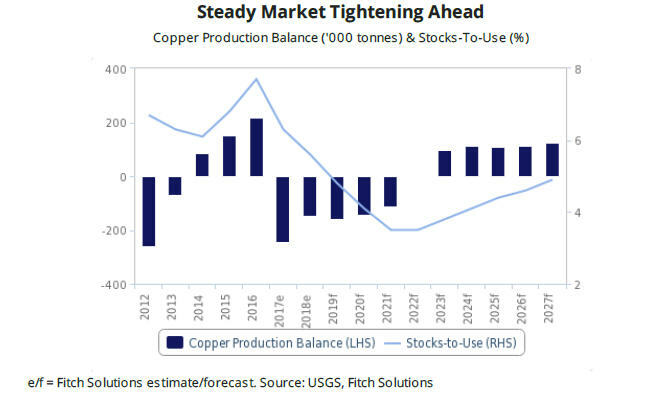 That is the short-term forecast, but over the long term, Fitch expects the global copper deficit to shrink, and predicts that the market will shift to oversupply, as copper producers invest in new projects and output increases. 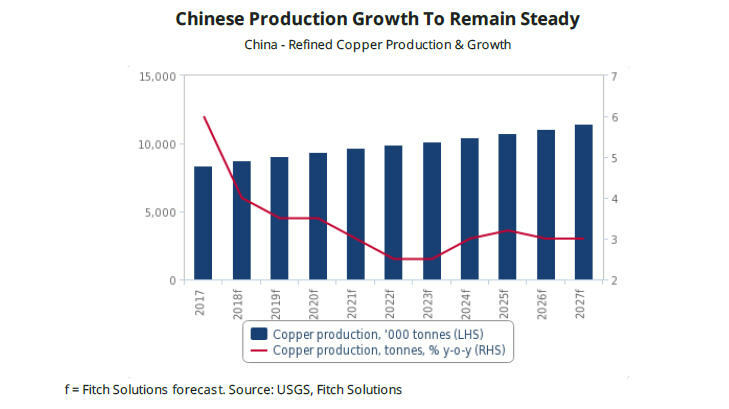 China's refined copper production is expected to maintain steady growth as producers take advantage of elevated prices, and Fitch predicts China remains a driver of global copper production growth, to increase copper production from 8.8mnt in 2018 to 11.4mnt by 2027, averaging 3.1% annual growth, and that China's copper producers will prove more profitable than foreign competitors, supported by strong domestic demand. In the short term, Fitch expects China’s economy to cool gradually in 2019 due to softening investment activity as credit and fiscal spending growth slows. Chile, the world’s second largest refined copper producer, will benefit from strong copper prices and President Sebastián Piñera’s foreign investment-focused agenda. Fitch points out that Chile's Codelco produced 875kt of copper in H118, up 2% y-o-y, and forecasts the country’s refined copper production to return to growth due to rising prices and a solid project pipeline. India is expected to emerge as a star on the global copper production growth stage, supported by government initiatives to increase output and lower the costs of production. Fitch forecasts India’s refined copper production to increase from 925kt in 2018 to 1.8mnt by 2027, averaging 7.3% annual growth. A downside risk, Fitch points out, are the protests, some violent, and the subsequent closing of Vedanta Resources' Sterlite copper smelter on environmental grounds. Fitch maintains a muted outlook for US copper demand growth over the coming years due to its view that President Trump's infrastructure package will fall short of current mainstream expectations.